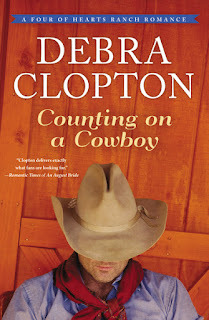 Counting on a Cowboy is the story of Abby and Bo. Abby moves to a small town after tragically losing her husband and baby. 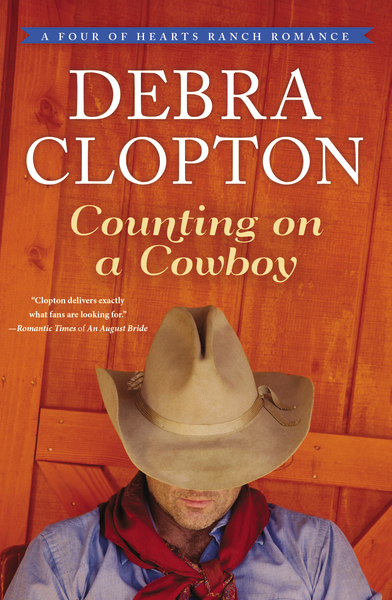 By chance, she meets Bo, a cowboy who lives with his brother and aging grandfather. Just as they meet and get aquainted, Bo discovers that he has a one year old son -- who arrives unexpectedly on his doorstep. This novel explores how two broken people find strength within themselves and through a relationship in order to heal and move forward with their lives. The love story was so winning. Abby and Bo are very warm, sympathetic characters, and I found myself rooting for them. I love the way their relationship unfolded slowly in the book. I also loved the small town setting with the quirky townspeople and the cozy atmosphere where everyone knew their neighbors. Bo's family is also wonderful - especially his lovable grandfather, Pops. There even is a cute Basset Hound! I recommend this book for fans of inspirational fiction, contemporary romance, and women's fiction. Anyone who loves a warm, cozy, small town setting will also enjoy this read. I love stories like this! My wishlist is growing!